What’s happening in August? Check out our August Events below! August Events and new items and updates are included in this months newsletter. Thanks for subscribing. You can also stay up-to-date with us on social media sites, we have them listed at the end of the newsletter. 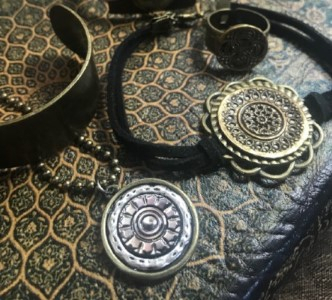 One of a kind vintage button jewelry and accessories created in loving memory of her daughter, Skylar Rose Nelson (March 22, 1999-January 12, 2015). 20% of proceeds go directly to AFSP.org American Foundation of Suicide Prevention. 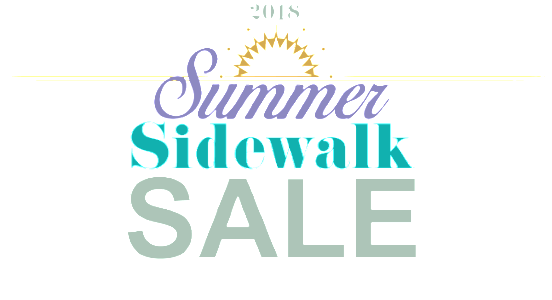 Save the date for our annual summer sidewalk sale, happening August 3-4th! Details to follow, mark your calendars! 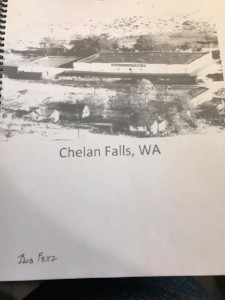 By the author of “Ghosts of Blewett”, Bud Fritz just dropped off a stack of books “Chelan Falls”. Fresh off the press!!! 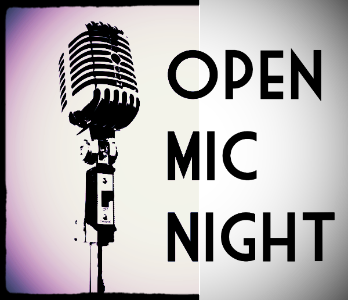 Poetry, spoken word, short stories, music! Undecided? Feeling brave? Grab a blind book or a grab bag! These soy candles are amazing! 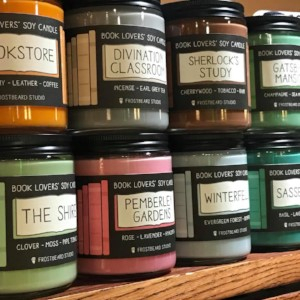 Great book-themed scents and names. The glass jars burn about 40 hours, the smaller tins about 20 hours. 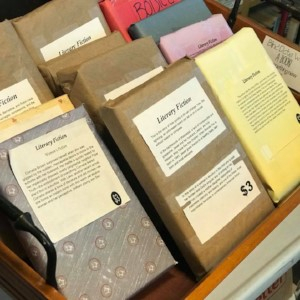 Makes a great gift alone or combine with a book or a gift card, Top it off with some Yeti Chocolates and a handmade card or journal for a great finishing touch. 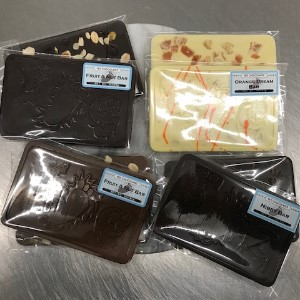 Willow Merrit, is a newly established small batch artisan chocolate company in the Wenatchee Valley that makes chocolate truffles and other confections that tantalize the palate and entice the senses. Visit her site at www.YetiChocolates.com and see all she has to offer. You can special order and arrange to pick up here at our store or ship to a loved one from her site as a great gift! 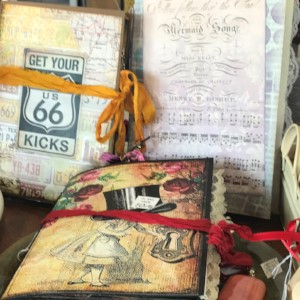 Hand-crafted journals, many styles, sizes and types to choose from. Mini art journals, junk journals, mini albums, refillable traveler’s notebooks, altered notebooks. We also have greeting cards, hand-crafted and art prints. 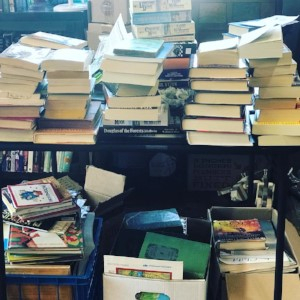 Here is a sample of what comes and goes in an average day in the bookstore! We clean them up, remove stickers, dust, price and put out on shelves. We are 2000+ sq. ft. with over 100,000 books.